Algeria and Tunisia are countries located in North Africa. Both are bordered by the Mediterranean Sea. At the time this Algeria and Tunisia map was drawn, Algeria ‘belonged’ to France and Tunisia was ‘protected’ by France. 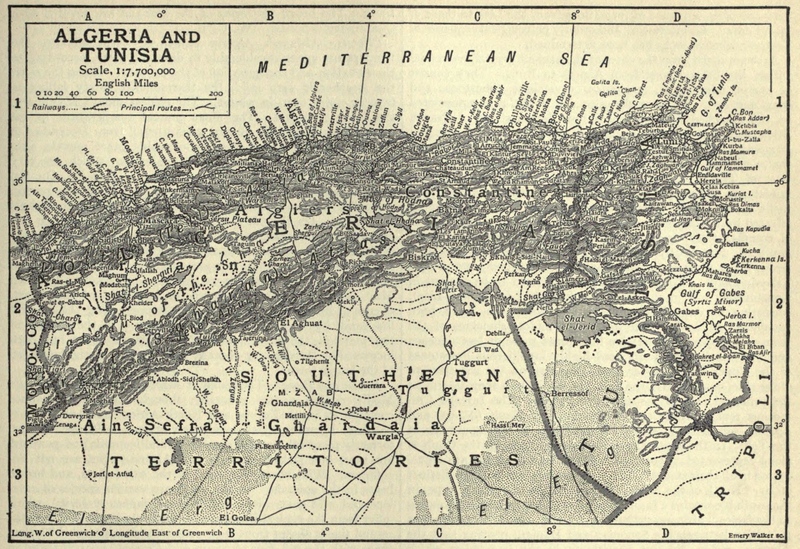 The map was included in an 1911 encyclopedia. We’re fortunate to have a really nice scan of the area. The larger version can be accessed by simply clicking on the Algeria and Tunisia map shown below.